"In the beginning, there was nothing but endless flatness. Then came the Carpet." That’s the old story everyone knows. But now a new story is in the making. 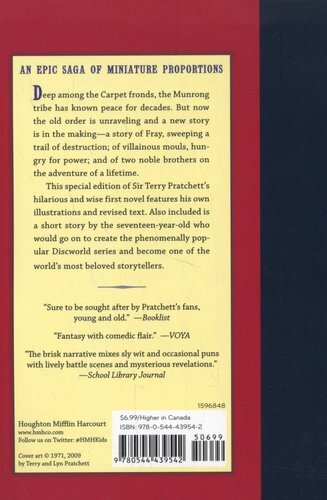 The story of Fray, sweeping a trail of destruction across the Carpet—and of two brothers on an adventure to end all adventures. First published in 1971, this novel marked the debut of Sir Terry Pratchett. 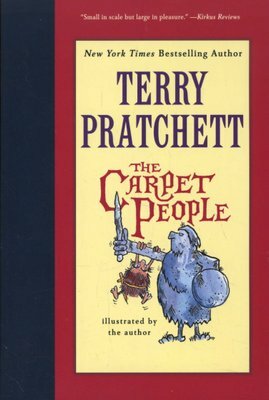 Years later, Sir Terry revised the work. This edition includes the updated text, his original illustrations, and the short story that is the forerunner to The Carpet People.